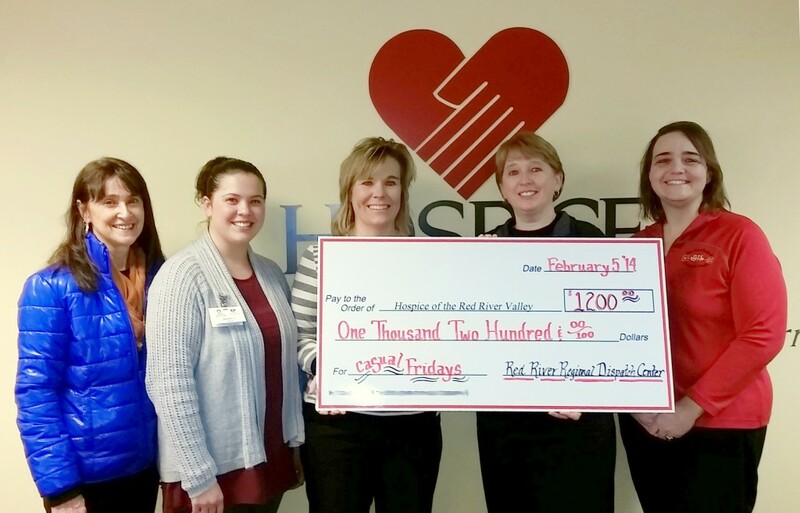 This week, employees from the Red River Regional Dispatch Center donated the money collected on “Casual Fridays” in 2014 to Hospice of the Red River Valley. Thank you so much for your generosity and support of Hospice! We are so appreciative. L to R: Judy Gette of HRRV, Heather Carlson, Amy Kapaun of HRRV, Mary Edinger and Stacy Pritchard.